Not only do we insist on having staff that is highly knowledgeable on the latest cutting-edge technology, but our dental assistants and hygienists pride themselves on it. Our staff consists of licensed professionals who are excited about what they are doing for our patients. With decades of experience among the members of our team, the dental health of you and your family is in good hands. We are highly educated and experienced for your benefit. Dr. Hakim has been practicing for more than 20 years and has taken numerous continuing education courses in the area of orthodontics, orthopedics, TMD and Sleep Dentistry. He is an active member of International Association for Orthodontics and the American Academy of Craniofacial Pain, and holds a certificate for painless anesthesia. Dr. Hakim supports the Holy Family Church, Our Lady of Mount Carmel, Kingsville Public School, the Downtown Mission, Good Fellows, OPP Cop Camp, Migration Festival, Canadian Cancer Society, as well as many other charities and organizations. Dr. Hakim has a son and daughter, enjoys soccer, tennis, squash and cycling. 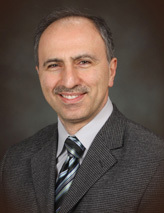 Dr. Chahine is a specialist periodontist. She has successfully treated thousands of patients with periodontal disease – infections of the gums and bone that surround the teeth. Dr. Chahine is widely recognized as an innovator in the field of periodontics. She is able to perform all periodontal surgeries in the office including grafting and the surgical phase of implant treatment. 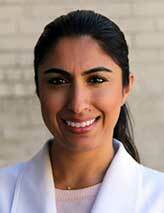 Dr. Chahine was trained at the dental school at the University of Western Ontario from which she graduated. She then pursued her graduate studies in periodontics at the University of Detroit, after which she returned to Essex County to practice dentistry. 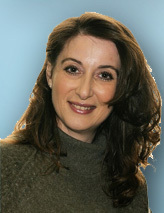 Dr. Rena Rabheru graduated from McMaster University with an Honors Bachelor of Science. She then attended the University of Western Ontario, where she earned her Doctor of Dental Surgery. Dr. Rabheru enjoys all aspects of dentistry, with a particular interest in implant dentistry, cosmetic procedures, and oral surgery. Her caring and empathetic approach helps to make patients feel at ease. Originally from London, Dr. Rabheru is proud to call Kingsville her new home. Outside of the office, Dr. Rabheru enjoys biking, reading, teaching aerobics, rollerblading, and cooking. 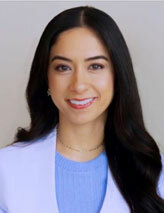 Dr. Sadek graduated with a Bachelor’s of Science in Biology, and went on to obtain her DDS from University of Detroit Mercy School of Dentistry. She enjoys all aspects of general dentistry, and is especially focused on restorative care, prosthodontics, and oral surgery. She is dedicated to staying current in providing the latest leading dental procedures, and participates in a variety of continuing education courses in order to do so. Outside of her dental practice, Dr. Sadek enjoys travelling and spending time with her family.